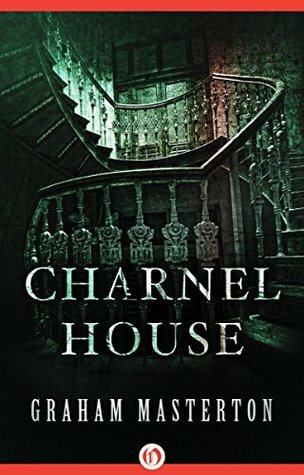 First off, Charnel House isn't your average Haunted House story. The Monster in this story isn't just a pesky ghost who won't go away. Instead he's an ancient, nearly indestructible, demon, bent on making the world his personal playground of sin and destruction. I don't want to give away the twist or too much of the Monster but he's bad guys, real bad. Oh and don't even get me started on how he punishes those who displease him. Ouch. Ick, No thanks. Secondly, I really liked how the story blended Native American Folklore with a modern-ish day Horror story. You just don't see Native American Folklore in Horror all that often and when you do it isn't always executed well. Lastly, I really liked the characters. The main character works for the Department of Sanitation and in truth should not have even been involved in the supernatural shenanigans at Mr. Willis's House. It is only the characters curiosity and I suspect an act of boredom that he even investigates the house in question. It is then through circumstance and a bit of bad luck that others are drawn into the story and forced to fight or die. I really felt the characters struggles were real and also it meant that nobody was safe. Nobody was special. They all were on equal footing trying to live and see another sunrise. Now although I did enjoy the story I will say that parts of it did read as outdated. I did not realize going into this book that it was written several decades ago. Did it make the story any less enjoyable? No. However it did at times take me out of the narrative and it forced me to remember that this was indeed written during another place and time. Overall, I'm happy I read Charnel House. If you like old school creature features than this book is definitely for you. With that being said, I'll be rating Charnel House by Graham Masterton ★★★★. *Copy reviewed provided by Open Road Media via Netgalley. All opinions are my own and I was not compensated in an which way for providing them.